How to balance a ceiling fan. Balancing a ceiling fan is actually a lot easier than most of us assume, and it only requires a few simple tests. When a fan is out of balance, efficiency is lost in airflow, which means that the fan does not circulate the air properly, and you find the fan does not provide the necessary cooling in hot weather or necessary warm air circulation in winter. If you're needing to know how to balance a ceiling fan, read on. The first thing to do if your ceiling fan is wobbling badly is to make sure that there are no loose screws – which can often be the reason for a badly balanced fan. Check and make sure that all the blades are tightly screwed to the holder in the middle. Also check and make sure the screws from the blade holder to the fan are tight. If all the screws are okay, you need to check the alignment of the blades. You can do this easily by placing a yardstick against the outside edge of the blades and looking up at them vertically. As you turn the blades with the yardstick, you will easily be able to see if some of them are not aligned correctly. Bend them (gently) to bring them into alignment with the other blades. You can also a shaking fan by switching two adjacent blades around. Often this sorts out the problem easily. If not, you will have to start digging into the balancing kit to sort out the problem. Using this method can take some time, but it's well worth it when the problem is sorted out. Inside the kit, there should be a balancing clip, or a balancing weight (they are basically the same thing) which you place at the edge of each blade. Make sure that it's placed halfway between the outer edge of the blade and the blade bracket. Turn on the fan, and see if the wobbling is gone. If not, use the other balancing clips on the rest of the blades (one by one) and note how the fan is wobbling each time you put the fan back on. You need to be identifying the fan that wobbles the least. Once you've done so, change the clip on the blade by moving it closer to the motor, or away from the motor, depending on where the least wobble occurs. Once the wobble is gone, work on the other blades (if necessary) until the ceiling fan stops wobbling completely. 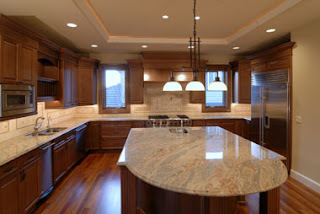 http://www.lightingspecialists.com 801-566-1324 Salt Lake City, 801-224-8365 Orem. Come to our show room and browse our selection of Lighting Fixtures, Lamps, Chandeliers, bathroom vanities, accessories, outdoor lighting, and more. We are your Lighting Specialists in Midvale, UT, Orem, UT and the Salt Lake City, UT. Text your name and email to 801-701-2989 to receive a free guide to Lighting your home.